The idea of this section appeared recently. Everytime I sign in on playchess, there is at least someone to ask me for a piece of chess advice. Thus, here I hope you will find something appropriate for you and your road to chess improvement! 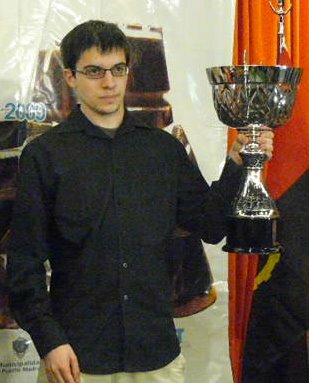 Maxime Vachier-Lagrave: "I just think that there's no special recipe, but one good starting point (apart from the basic studying endgames, not taking too much time on openings...) would be to try to understand the positions in which you felt unsecure during the game, meaning that you feel you weren't not worse at all, but the position was just not to your taste and you couldn't find the good plan, or if just you would have liked to switch colors :)". Check the Close-up label for more information about Maxime.